What's better than a simple, delicious dinner? Only having a few dishes to wash afterwards! This week's meal plan features no-fuss dinners that are quick and easy to prep, and are made using only one pot, pan or dish, so the clean up is just as simple. 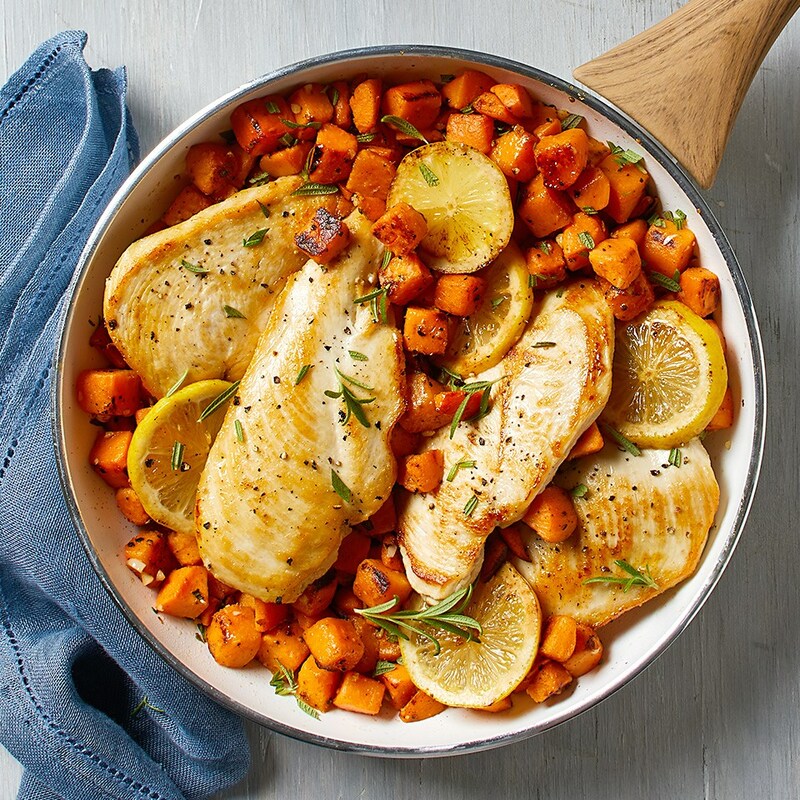 Rosemary Chicken with Sweet Potatoes: Chicken and sweet potatoes unite with the delicious taste of rosemary in this easy, one-skillet meal. This recipe calls to use parcooked and unseasoned sweet potatoes, to cut down on cook time, making this recipe perfect for weeknight cooking. Slow-Cooker Vegetarian Lasagna: Sure, the slow cooker's great for stews and soups, but it also happens to make a mean lasagna! In this ingenious slow-cooker recipe, all you have to do is chop your veggies, then layer the ingredients (raw) into the crockpot. 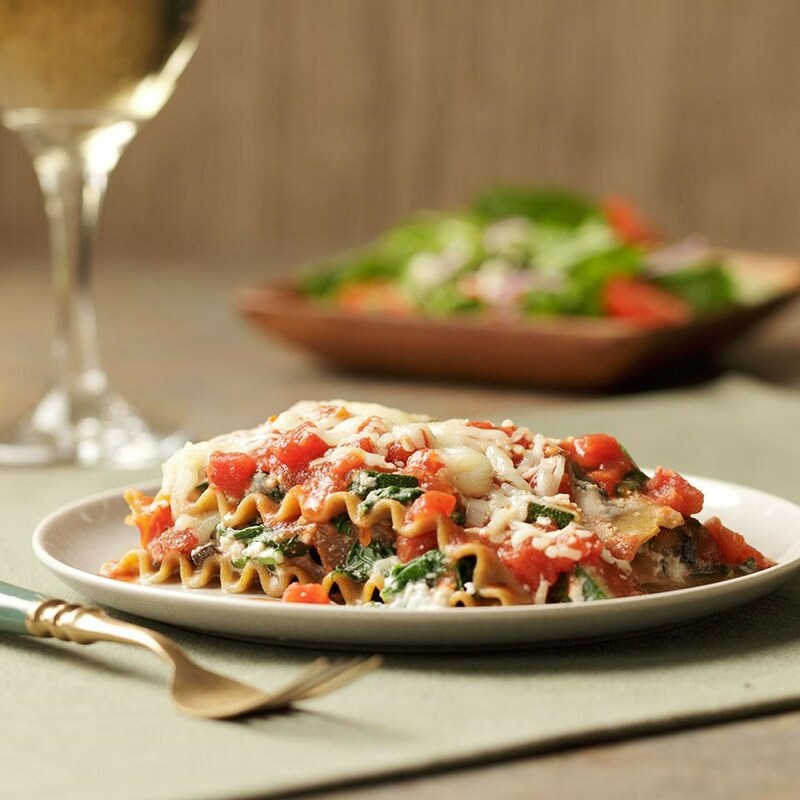 Serve the lasagna with a leafy green side salad with dressing to round out the meal. 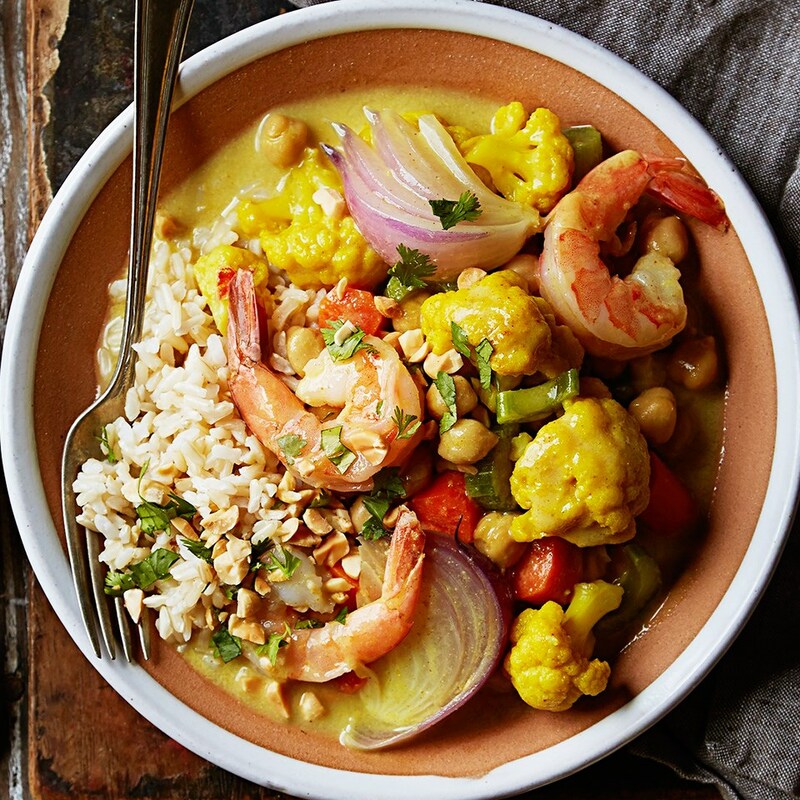 Curried Shrimp with Cauliflower & Chickpeas: In this delicious main dish recipe, cauliflower is slow-cooked with curry powder and aromatic vegetables, and shrimp and chickpeas are added in towards the end of the cooking time. Served over brown basmati rice and sprinkled with cilantro and peanuts, this dish will get a thumbs up from everyone. 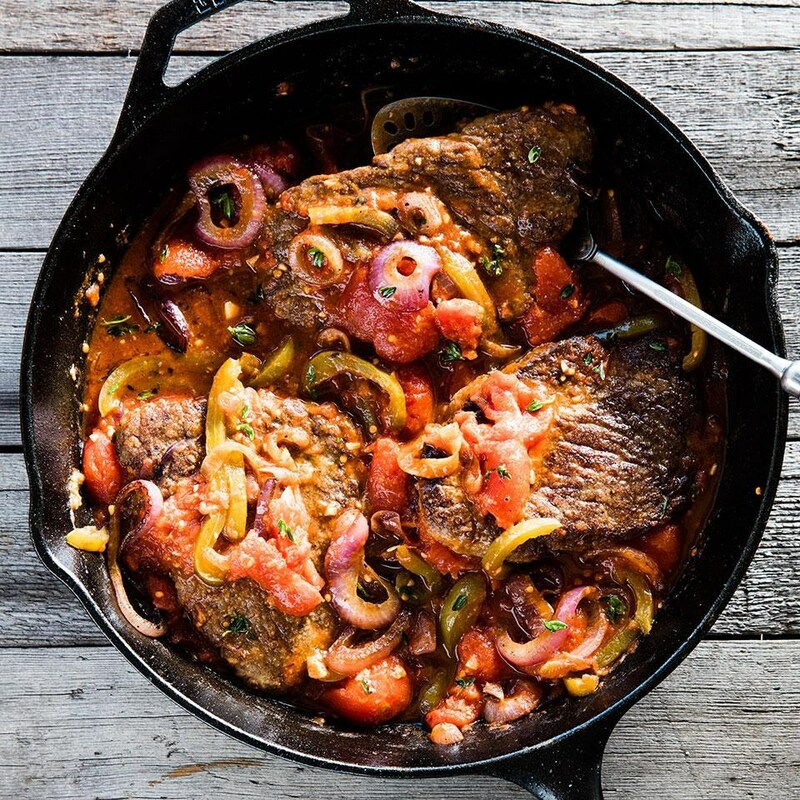 Skillet Swiss Steak: This fast weeknight Swiss steak recipe is made on the stovetop in just 30 minutes. Sautéed peppers, onions and tomatoes create a quick, savory sauce, made in the same skillet for easy clean up. 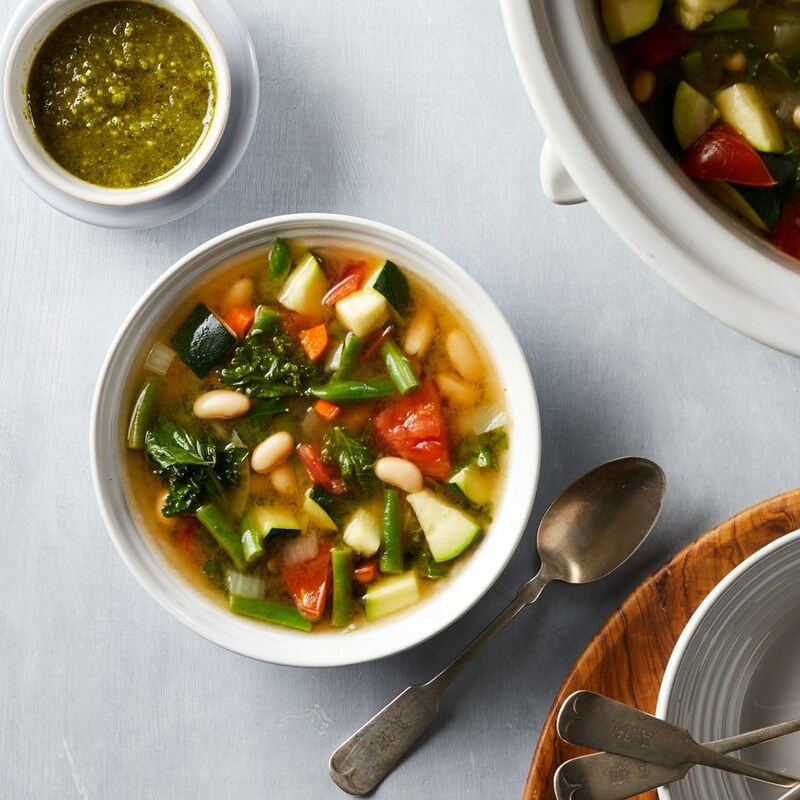 Slow-Cooker Vegetable Soup: Make a big batch of low-calorie veggie-packed soup with ease in this load-and-go crock pot recipe. This hearty vegetable soup fills you up without a lot of calories, plus it's an easy way to eat more vegetables. Serve with a piece of hearty whole-grain bread, toasted and drizzled with olive oil. Creamy Chicken, Brussels Sprouts & Mushrooms One-Pot Pasta: You'll only have to dirty one pot in this easy pasta recipe that cooks chicken and vegetables right along with the noodles. 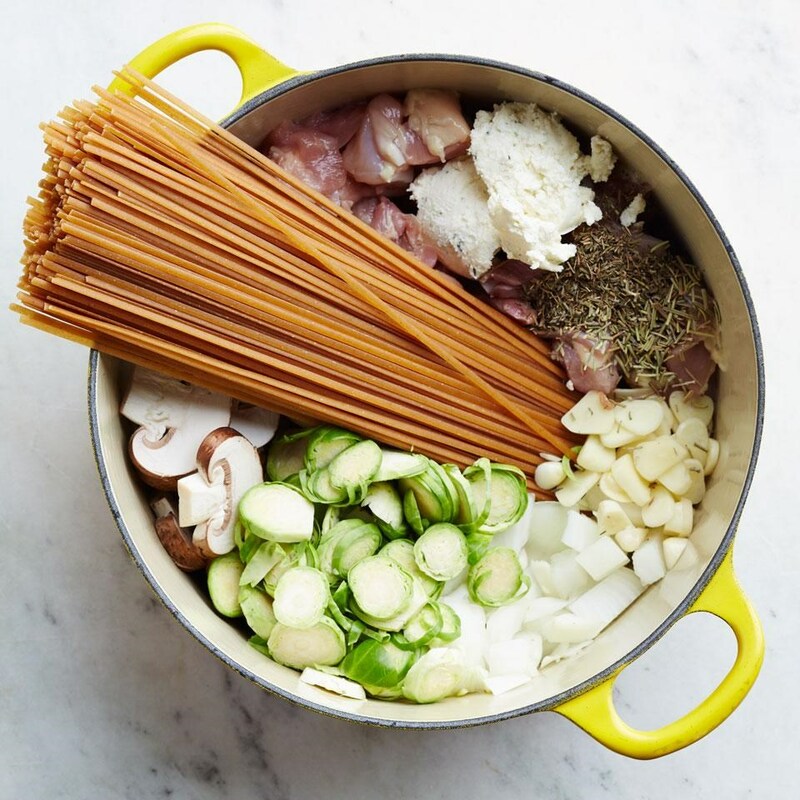 Plus, by using the exact amount of water you need to cook the pasta, the starch that usually gets drained off with your pasta water stays in the pot, giving you delectably creamy results. 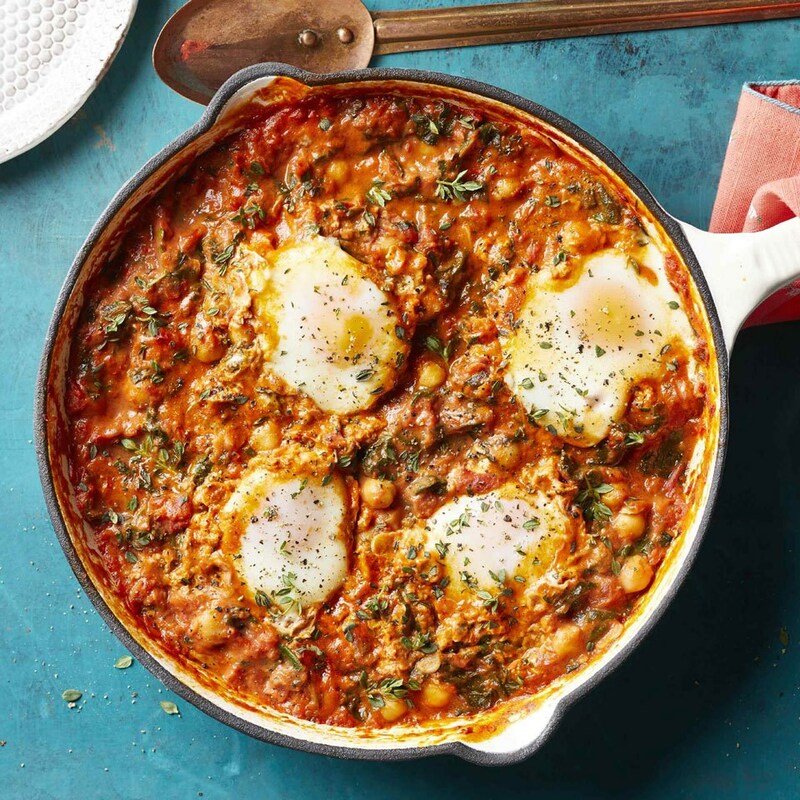 Eggs in Tomato Sauce with Chickpeas & Spinach: Simmer eggs in a rich tomatoey cream sauce studded with chickpeas and silky spinach for a super-fast vegetarian dinner. Serve with a piece of crusty bread to soak up the sauce. Be sure to use heavy cream; a lower-fat option might curdle when mixed with acidic tomatoes.